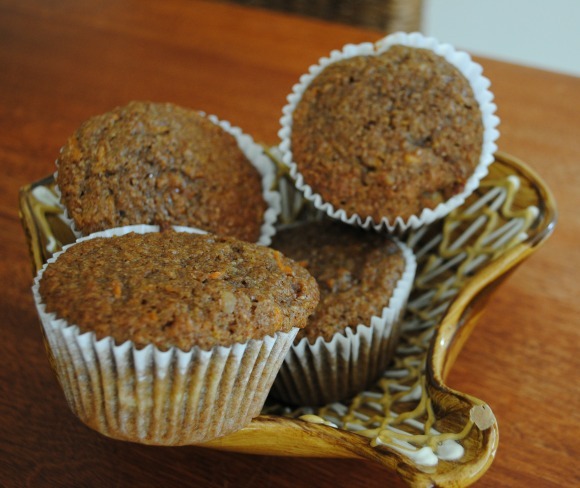 If you love healthy muffins, you will love my Carrot Walnut Bran Muffins! Although they have lots of wholesome ingredients, they remind me of a carrot walnut cake. That is, they remind me of a carrot cake that isn’t too sweet and has some depth to it. Perfect for breakfast or as a snack, these nutty, orange-spiked muffins make a nice treat in a lunchbox too. When I was a little girl in Canada, there was a restaurant in Preston, Ontario called The Knotty Pine. My Dad used to stop in there a couple of times a week for one of their famous bran muffins and once in a while, he’d bring a half a dozen of them home for a treat. We loved these yummy muffins which were not too sweet, not too savoury, and full to the brim with raisins. One day Dad came home with the secret recipe. Mom and I were delighted when the muffins we made using the recipe came out every bit as nice as the ones Dad brought home. I’ve been making them every since. Even though I had resolved not to experiment any further, I couldn’t resist when I had a wonderful muffin at a Tim Hortons coffee shop on a visit back to Canada. It had Carrots and Walnuts in a wheat based batter. My Carrot Walnut Bran Muffins were the result. As you can see from the old photograph below, that was some time ago. 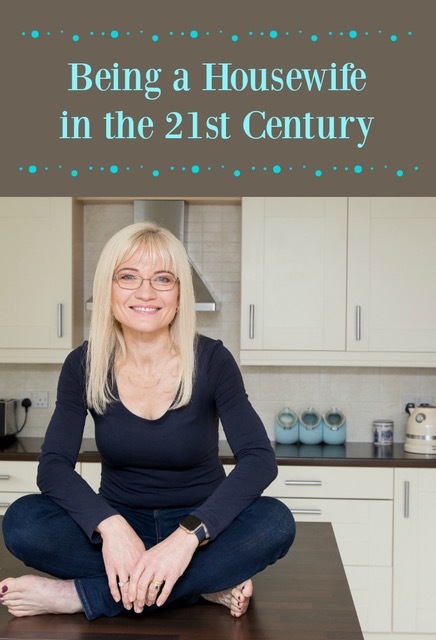 My family absolutely loved this variation and as time wore on, my Carrot Walnut Bran Muffins became nearly as popular with friends and family as my original bran muffins. I first published this recipe back in 2011, but it’s far too delicious to leave it languishing in the archives of the blog. Hence this 2018 reboot. 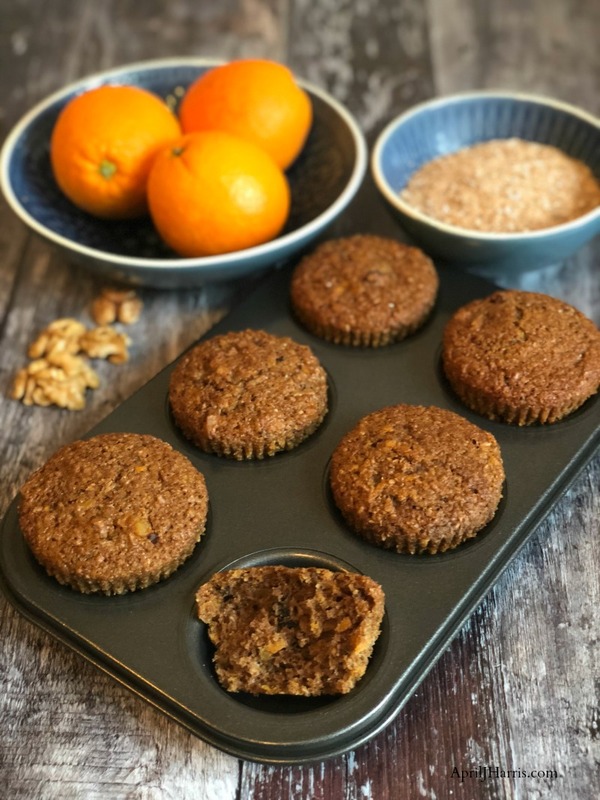 You will be so glad you tried these Carrot Walnut Bran Muffins! Full of healthy ingredients with a rich depth of flavour, these cinnamon and ginger laced muffins have a hint of orange flavour too. They have some sugar, but these sweet and spicy treats are definitely NOT cupcakes. The recipe makes about 12 large muffins, and they freeze beautifully. Carrot Walnut Bran Muffins will keep for a three days in a sealed container at room temperature, or store them for up to five days in the fridge. Allow to come to room temperature or warm before eating. Preheat oven to 350℉ (170℃). Line muffin tins with paper liners or grease and flour them. Add brown sugar and oil; mix well. Mix in the bran and cinnamon and let stand for 10 minutes. Meanwhile, sift together the flour, bicarbonate of soda, cream of tartar and salt. Add flour mixture to the bran mixture alternately with the buttermilk, stirring well between each addition. Gently fold in the orange rind, grated carrot and the walnuts. Spoon mixture carefully into muffin tins, filling them about half full. Bake for 15 to 20 minutes, until a skewer inserted in the middle of a muffin comes out without any batter clinging to it. Serve warm or at room temperature. These are delicious with butter and/or jam. If muffins have cooled to room temperature, you can reheat them in the microwave for about 10 to 15 seconds on high. I sometimes put them frozen in a lunch box and they thaw in time for lunch while helping to keep everything else cool too. Ah good. Glad to know it wasn’t my mistake! They are certainly good. This is yummy!! Today I’m planning to bake blueberry muffin.. 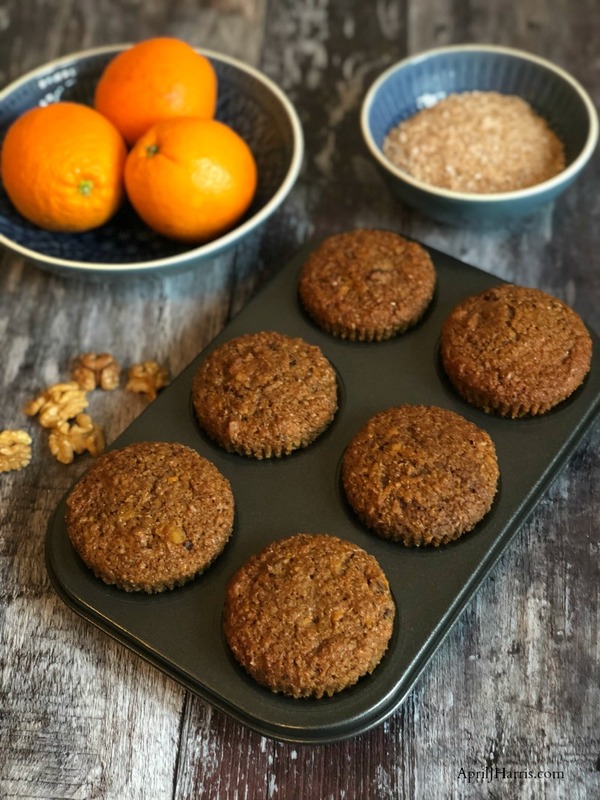 Your Carrot Walnut Bran Muffins look amazing! Hope you are having a great weekend and thanks so much for sharing your with us at Full Plate Thursday! 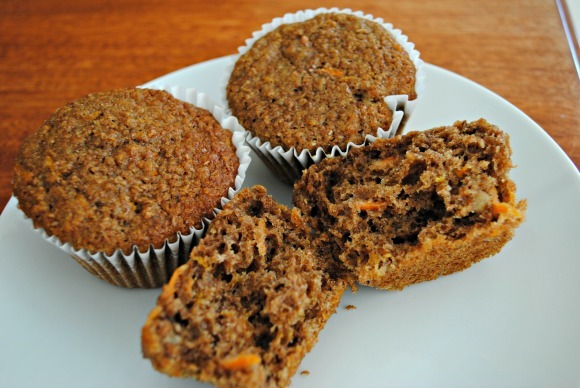 April these look amazing, I love a good bran muffins but you are taking it up a notch with carrots and walnuts!!! Yum I missed hosting Friday Features last week, but I’m back in full swing with lots of fun ideas and your being featured!! Whoo these do look tasty April. I could just eat one 🙂 Love the sound of the ingredients. Yummy! Thanks for sharing at Creative Mondays 🙂 Hope you can join us tomorrow. Everything you make looks so delicious! I love that it has the orange flavoring. I can’t wait to try it!